This special event is back, and it’s packed with the best experience we’ve ever offered at any Girls’ Night In we’ve hosted before. 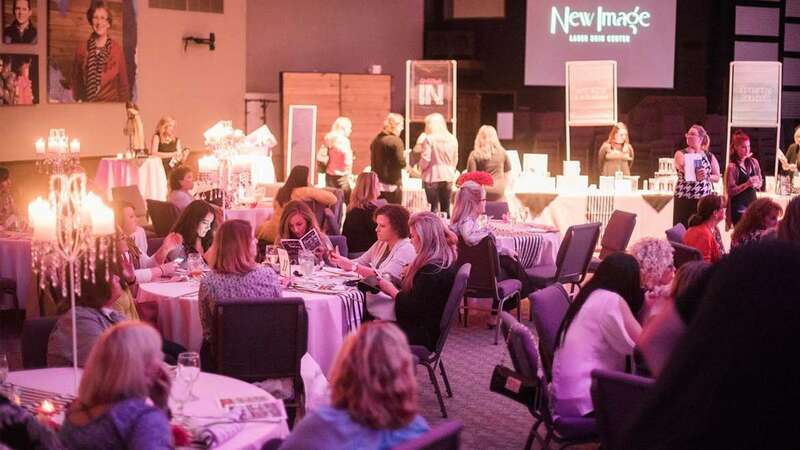 Having a night out with your girlfriends is already a guaranteed great time, so to add an elegant evening of food, self-pampering, and delicious deals on MANY New Image services is why our tickets sell out FAST every year. So what can you expect this year? One of our primary goals at Girls’ Night In is to educate so that you know more about our services when you leave then when you arrived! We’ll have displays, service representatives, photos, literature, all available for you to glean as much information as you’d like! We’ll even have a few demos—there’s nothing like seeing something first hand! 2. Exciting New Services Announced! Each event we share the new services we have at New Image—this is always exciting! You can be sure that when we bring a new service/treatment to New Image we are confident in its benefits for our clients! Who doesn’t like the chance to win something?! It is our pleasure to give away some of our favorite treatment/services and products, as well as a few surprises! Such fun to see the excitement on our guests’ faces when their name is drawn! Your ticket stub automatically puts you in the drawing AND qualifies you to have a complimentary consultation at New Image!! We are always ready to chat one-on-one when possible with our guests. Some of our aesthetic reps will be there as well so feel free to “pick” their brains—that’s why they’re there!! For those of you who like to receive Botox at the event, that will be possible at the end of the festivities. There’s usually a line, so be ready! Never had Botox? Sometimes it’s easier with a friend to cheer you on! There is a small price saving that will be revealed on the night of the event. We take the ambiance that is created for this special evening very seriously with an amazing caterer and an event coordinator beyond compare! Beautiful surroundings, with delicious food with wonderful people all around…what could be better!? Our goal is not only for you to have an amazing time but also to have a better understanding of the services that are best/right for you! We always have amazing promotional prices for some of our services and/or products; so come prepared to take advantage and save some significant dollars by purchasing that evening! We look forward to seeing those of you who attend!! Watch for the ticket sales!